People have literally everything at their fingertips: news, music, libraries, the internet, family and friends. But never before in human history are so many people stressed by how fast the world around themselves is spinning, afraid of how they can possibly face this stress. They are not only afraid but suffer from serious illnesses, including depression. Matt Haig knows what he is writing about in his latest book “Notes on a nervous planet”, having been through heavy depression himself. Without any self-pity Matt Haig offers his thoughts about the world and what he finds helpful to stay sane on this nervous planet – what he finds helpful for himself; he is far from forcing his readers to follow his thoughts as gospel. But even if you are not stressed from constantly checking your Twitter or Instagram or scrolling through news, you will find that there is more than a little bit of truth in Matt Haig’s writing. Unless you are the only person alive that has never enjoyed the sounds of a summer’s evening or watching the rain poring down or just sitting there with your own thoughts – or thinking nothing at all. What makes Matt Haig’s writing and therefore this book – his books – such a pleasant read is that it offers such a huge amount of knowledge, glimpses into different spaces, different opinions while being funny and relaxing and an eye opener at the same time. Some might say this isn’t what literature should be. Don’t mind them. Just read. Matt Haig: Notes on a nervous planet, Canongate, round £11/ 12 Euro. Celeste Ng’s new novel “Little Fires Everywhere” is just out in Germany where the American author has been on a press tour – and she found time to answer my questions. In “Little Fires Everywhere” (as in “Everything I Never Told You”) your figures are living the American lifestyle, lots of people find attractive. But as the story unfolds, the facade crumbles away. Why? Your figures live a modern life in the late 1990s. Do you think modern technologies should have a place in the life of teenagers? Teenagers live in the modern world, so it seems foolish to try and keep them in some pristine past where modern technology doesn’t exist. We’re in the era of Spotify and Snapchat, but my generation looks back with nostalgia to the days of mixtapes and email, and our parents look back even further to record players and handwritten letters—so I think every generation idealizes what they had, and sees the new as a corruption. With that said, though, what everyone—teenagers as well as adults of any generation — needs is human connection. By that, I mean the ability to understand and be understood by someone else, and to feel seen. Our anxieties about new technology is usually rooted in the idea that it’s increasing the space between each other, or between us and the “real” world. And that is something that I worry about. Sometimes modern technologies can isolate us—see: the anonymous and unpoliced boards of 4chan, for instance — but sometimes it allows us to connect with people in new ways, too. For me, the connection, or lack thereof, is more important than the technologies themselves. What books are you reading and what books would you consider as a must read? I just finished Pachinko, by Min-Jin Lee (which I think is coming out in Germany soon as “Ein einfaches Leben” [It will be available in September by dtv ). I’m currently re-reading The White Album, by Joan Didion, and reading Anna Karenina for the first time. As for must-reads: there aren’t a lot of books in this category, but books I think everyone would benefit from reading include Between the World and Me, by Ta-Nehisi Coates and the work of James Baldwin. Meine deutsche Übersetzung des Interviews gibt es hier. You find my review of the German version of “Little Fires Everywhere” – “Kleine Feuer überall” here. Some books leave you in wonder, in despair, in tears or in joy. And some books leave you thinking about the story you just finished. John Greens “Turtles all the way down” is one of those. This is not only because of Aza, a teenage girl who struggles with her anxiety, endless thoughts and life itself because she wants to be a good daughter, a good friend and a good student. She and her best friend Daisy decide to investigate the case of billionaire Russell Picket. Aza’s story is the story of a teenager trying to understand and getting along with life. And even if we are lucky enough living without any panic attacks or are grown ups with a regular life, “Turtles” touches us because it doesn’t matter if you are a teenager like Aza or a famous actor, author or just an ordinary guy, living a decent but ordinary life. All that matters in the end are values like love and friendships that will stay with us – and authors like John Green telling stories that we will remember for a very long time. Über 2500 Ergebnisse erhält, wer bei Amazon nach Arthur Conan Doyle und Sherlock Holmes sucht. Weshalb also noch eine weitere englischsprachige Ausgabe? Die Lust, besonders schöne Bücher zu machen, kann es nicht gewesen sein, die die Herausgeber bewogen haben zwei Bände unter dem Titel „Sherlock – The Essential Arthur Conan Doyle“ als BBC Books zu veröffentlichen. Denn wie oft bei englischen Büchern ist weder die Qualität des Papiers noch die des Layouts – hin und wieder scheint der Text entweder gesperrt oder spationiert zu sein, damit er eine Zeile ausfüllt – das entscheidende Kaufkriterium. Doch die Titelbilder machen klar, dass es hier um den Kultfaktor geht, den die britische BBC-Serie „Sherlock“ unter Fans hat und diese Fans sind es auch, die die Macher als Käufer und Leser im Visier haben. Die Produzenten, Drehbuchschreiber und Erfinder des modernen Sherlock, Steven Moffat und Mark Gatiss, haben ihre Lieblingsgeschichten um den größten Detektiv aller Zeiten gesammelt und ihnen jeweils eine kurze Einleitung vorangestellt. Und allein diese Einführungen sind trotz der Kürze wunderbar witzig und ironisch, aber auch gleichzeitig kenntnisreich. „Die Geschichte macht zwar nicht wirklich Sinn, sie ist aber atemberaubend frech, stimmungsvoll und furchterregend.“ („It makes no real sense but it’s breathtakenly cheeky, atmospheric and scary.“) schreiben die Autoren der Einleitung beispielsweise über „Das gesprenkelte Band“ („The Adventure of the Speckled Band“) und finden, dass man „Der blaue Karfunkel“ („The Adventure of the Blue Carbuncle“) einfach „lieben muss“ („Impossible not to love.“). Einiges, was in „Eine Frage der Identität“ („A Case of Identity“) auftaucht, haben die beiden für ihre Sherlock-Version verwendet und wenn man so will, eine Art Perlenpickerei („small gems“) betrieben. Dass in der Fernsehserie zum Teil wörtliche oder abgewandelte Zitat aus einer der Originalgeschichten verwendet werden, merkt man freilich nur dann, wenn man den Kanon kennt. Oder doch zumindest die Geschichten, die Steven Moffat und Mark Gatiss als solche ausgemacht und in den beiden Bänden vorgelegt haben. Die insgesamt 19 Kurzgeschichten sind auch ideal für Sherlock-Fans, die sich Arthur Conan Doyles Original nähern wollen, denn sie sollen schlichtweg Begleiter der BBC-Serie sein. Wer schon diverse Ausgaben im Regal stehen hat, wird sich über vergleichsweise günstige Buchzuwächse freuen. Dank der Buchcover, die Promo-Fotos zur Erstausstrahlung der vierten Sherlock-Staffel zieren, sind diese beiden Bände aber für Sherlock-Fans schon fast Pflicht. Little is known about William Shakespeare, the playwright some consider the best ever, some think he has never lived. What if a bookseller found a book that could prove that Shakespeare not only lived but has really written all the plays? But it’s not the famous writer that attracts Peter Byerly’s attention. When opening an 18th century study about Shakespeare forgeries, the bookman is struck by a painting of a woman who looks like his beloved wife Amanda. But why the resemblance? Peter who has lost every will to live after the sudden death of Amanda, finally discovers his passion for books again. “The Bookman’s Tale” is one of those novels that lure the reader inside its story from the very first sentence and is unwilling to let him live his life until the book is finished. Charlie Lovett has mixed a love story of two people from very different backgrounds sharing the love for one another and the passion for books, literature and history. The story is set in London and the Welsh countryside round Hay-on-Wye and is alternating between the present, Peter’s and Amanda’s past and the 16th and 17th century. What could be confusing, keeps the reader hooked and eager to find out how the story and the fate of the characters unfolds. The novel is a lovely read for booklovers who should not be afraid to learn a little bit of William Shakespeare. Time travelling isn’t a new topic neither in films nor in literature. It seems that people have always been fascinated by stories about travelling back into history to meet people from the past and forward in time to get a glimpse of a possible future. BBC’s “Doctor Who” has everything people expect from a telly series covering that topic: an age old time traveller who knows not only how to handle humans but also past, present and the future – not to mention all sorts of aliens. Matt Haig’s new book “How to Stop Time” comes without aliens, or strange tech gadgets but with a man who ages in slow motion. Tom Hazard may look like a 40 year old guy. But he has outlived centuries before he hits modern day London – and he hasn’t lost his memory. That’s why he not only remembers ancient times and places like Shakespeare’s London (and the great playwright himself). He also has to cope with serious headaches indicating that his brain, like a hard drive, is about to reach its maximum capacity. Teaching history at a school in London, Tom uses his first-hand-knowledge to bring history to life for his pupils without revealing his true identity. But the past is always with him. “How to Stop Time” is an intense story that hooks the reader from the very beginning not because it is breathtakingly fast and action packed but because it is calm and lacks all sorts of excitement in a very fascinating way. Matt Haig’s newest novel is one to loose yourself in – which is the best you can say of any book. Matt Haig: How to Stop Time, Canongate, 15 €/13 £. The book will be adapted for film by Sunny March with Benedict Cumberbatch taking the lead role. Die deutsche Ausgabe wird 2018 im dtv erscheinen. It is a novel. A fiction, not a documentary about the life of Alan Turing. This is important because people tend to take every word for granted, weighing it carefully, comparing it to proved facts about the man who helped to break Nazi Germany’s Enigma code. David Lagercrantz takes those facts and some more (Alan’s homosexuality, his somehow awkward behaviour, his genius) and unfolds his story from the very last day of Alan’s life and the moment his corpse is discovered by a local policeman. This man, Detective Constable Leonard Corell, takes a very special interest in this case that seems to be nothing more than suicide. Step by step he dives deeper into the life and thinking of Alan Turing – a journey which doesn’t leave his own life untouched. “The Fall of the Man in Wilmslow” is a thrilling story that hooks you from the very first page. If (and this is an if I only can claim for myself) you already know something about Alan Turing’s life and impact. Then you find hints you have read elsewhere, imagine pictures, films or documentaries you have seen or listen to and you will be able to find your pace between fact and fiction this novel is constantly mixing up. If you haven’t stumbled upon Alan Turing at all, you probably will be lost in between the complexity of the story that hops from the past to the present and back again, changes perspectives and comes up with names and places you might find confusing because you have never heard of them. If you still want to find out more about Alan Turing, start with a biography (or click on the link given below). 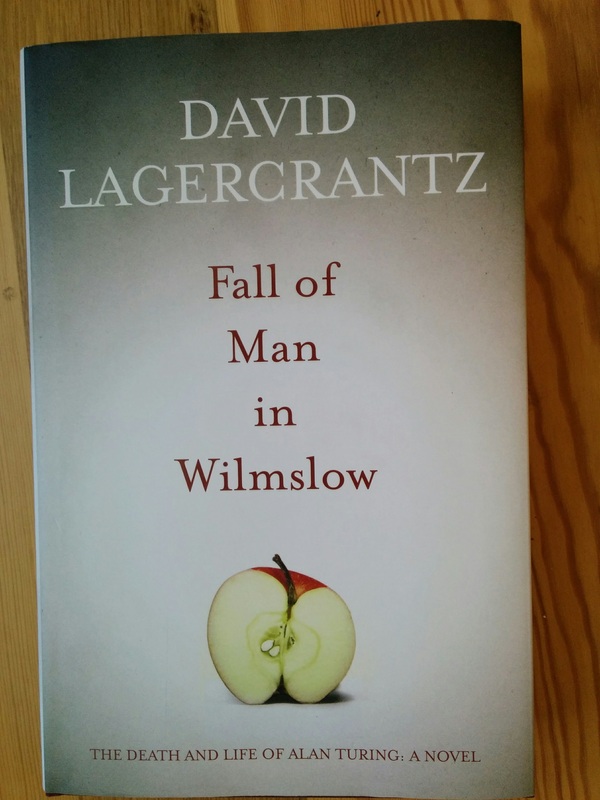 David Lagercrantz: Fall of the Man in Wilmslow. The death and life of Alan Turing. 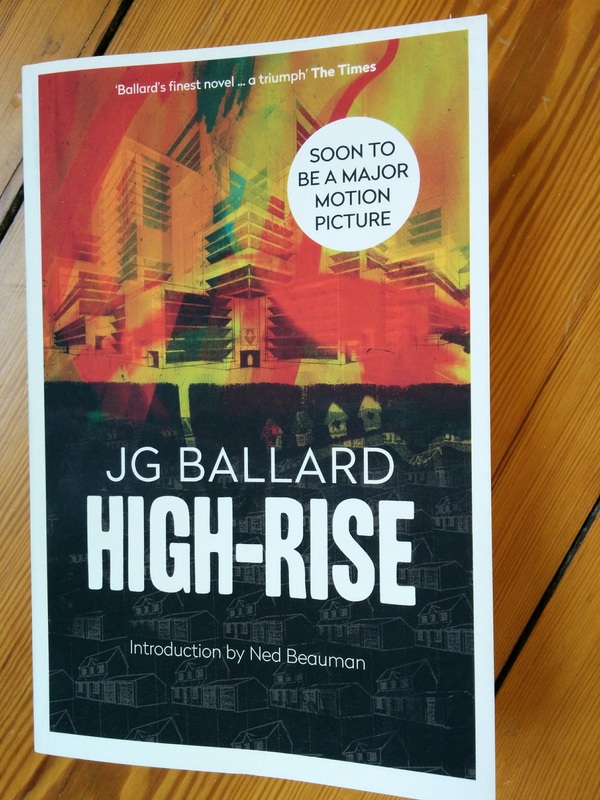 A Novel, MacLehose Press, about 9£. You find more about Alan Turing here on my blog. Time. You will need time. Because when you start Ian McEwan’s “The Child in Time” it will hook you from the very beginning and will only release you to your real life after you have read the very last word. At least that happened to me – and to be honest it always happens when I start a work of Ian McEwan I happily discover book by book both in English and in German (thanks to Diogenes who offers both brilliant translations and wonderful made copies). In “The Child in Time” Ian McEwan tells the story of Stephen, author of children’s book, member of a committee dealing with children’s education, happily married to Julie and father of three-year-old Kate. The perfect life is turned upside down when Kate vanishes in a supermarket literally in bright daylight and under the caring eyes of her father. Realising that the worst nightmare of parents has come true, Stephen’s existence is lost somewhere in between memories of his parents and childhood, his every day life duties and the desperate search for his daughter. It is only after a while and the separation from his wife, he learns that he has to struggle with time itself. Hopping between different plots and different flashbacks could be confusing and boring for the reader who could be in danger to lose the plot if the author is unable to control all the lines. But it could be thrilling and exciting when it is done by a brilliant author that is Ian McEwan. He, being an amazing story teller, describes every single detail to create a world that seems both very familiar and very strange as things are unfolding for the thrilled and hooked reader. The only problem is that even brilliant books have an ending. 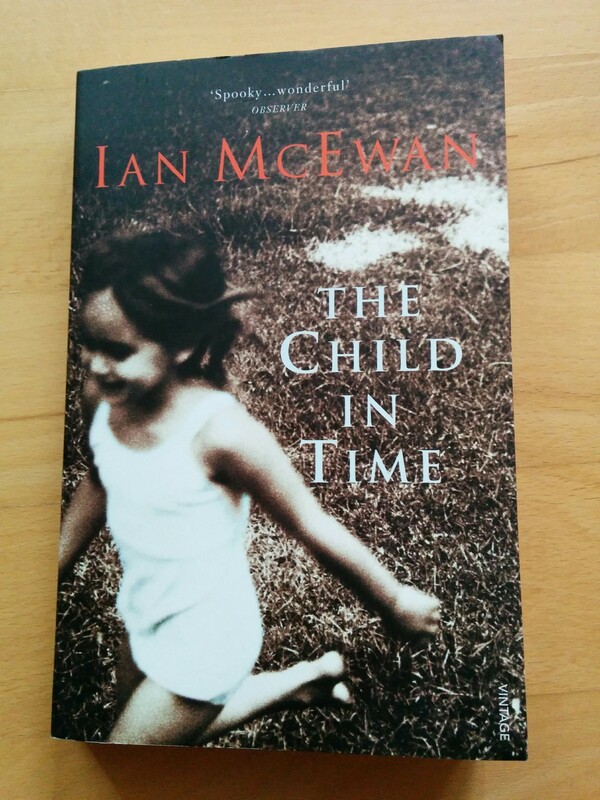 Ian McEwan: The Child in Time, Vintage Books, £8,99. You can find my latest blog entry on IanMcEwan here.